There’s a new mystery handset in town, and Amazon hopes to release its new device later this month – a 3D smartphone that’s set to make its debut launch at a Seattle event on June 18th. According to a video posted on Amazon’s official YouTube channel, the clip shows a number of people nodding their heads in approval at the unknown gadget; with one participant saying: “It’s very real-life and uncomparable [sic] to anything I’ve seen” while another stated “It moved with me”. However, while it’s not possible to gauge what exactly the participants are in awe of, they can be seen swaying from side-to-side whilst holding the device, fuelling rumours that Amazon’s handset will showcase advanced eye-tracking technology to create glasses-free 3D images via the use of numerous front-facing cameras. As glasses-free 3D has never been developed via a smartphone, the e-tailer will have to ensure this type of technology doesn’t put too much of a strain on the eyes of those using the handset – but with two variants of the phone expected for release, there could potentially be a non-3D model up for grabs. 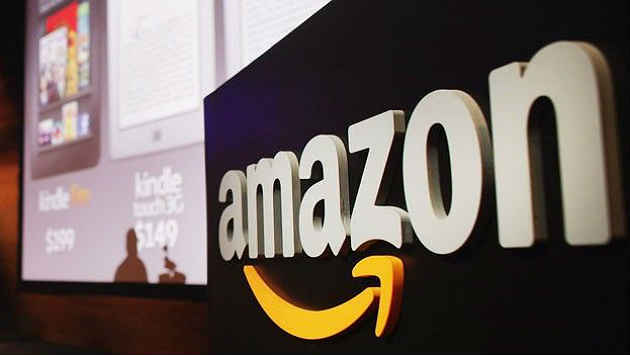 Interestingly enough, news of the launch could heat up Amazon’s rivalry with Apple’s iPhone – with the two companies attempting to outdo each other with tablet technology and online entertainment. To see what Amazon has in store, you can view the teaser here. OK Google: How Will Voice Search Impact Parcel Delivery? How Will Brexit Affect Online Shopping?